This was our first project with Feilden Fowles and it is one of our favourites: a project with great aspirations, a fantastic team of architects and a brilliant client. The project was put on hold in 2016 but we are hopeful that it will start up again at some point in the future. 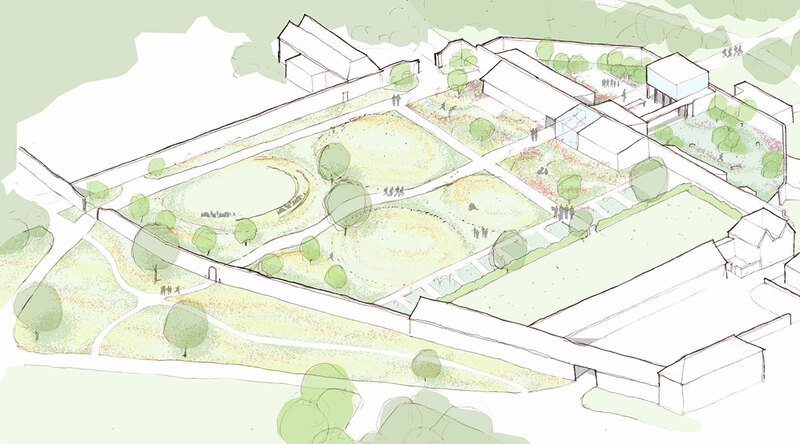 The Entrance Meadow creates a sense of arrival at the walled garden. 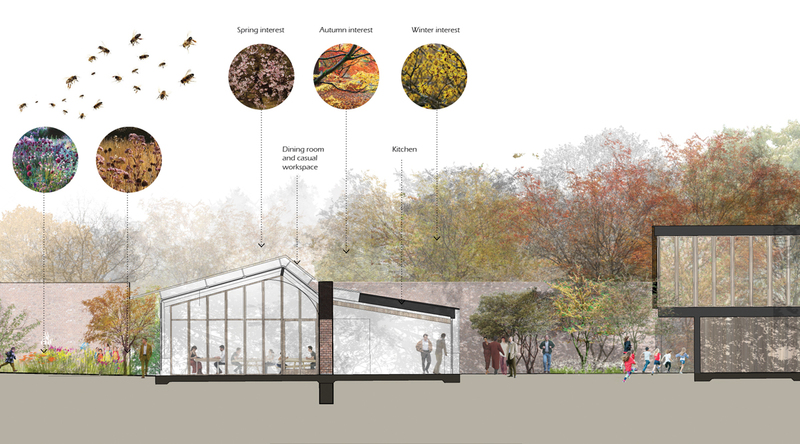 Access is via a winding path through the existing parkland trees and a newly planted meadow. The Meadow Garden is at the heart of the walled garden. 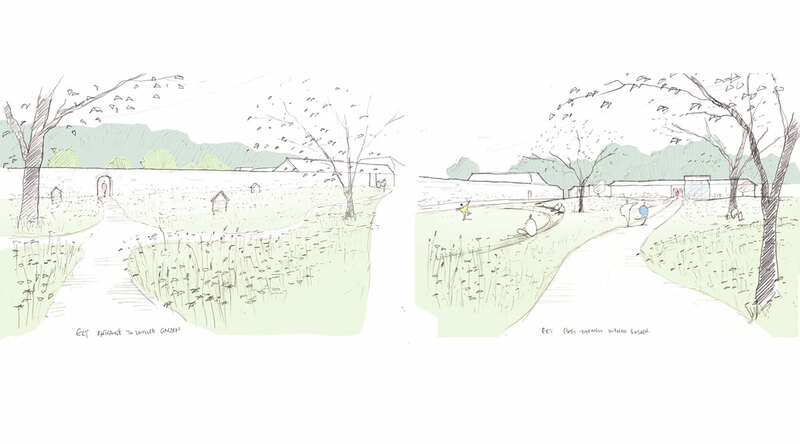 Key existing trees are retained and meadow landforms encourage visitors to explore the garden via mown grass paths. The Produce Garden forms the barrier between the private gardens of the converted stables and the public garden. These kitchen garden beds would be an echo of the past use of the garden, and a place for children to come and learn about growing food. 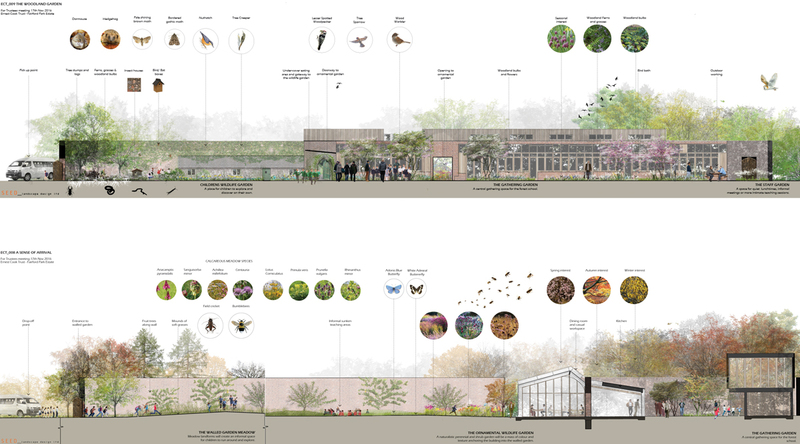 The Ornamental Garden is on the south-facing side of the new building. It takes inspiration from a sunny hedgerow bank, full of colour, texture and life. The Woodland Gathering Garden has a unique character with ferns, blossom trees, a communal dining table and most likely the odd tame squirrel! It is a place for the children to gather in before Forest School, and also provides an enclosed space for them to explore. We put together north/south and east/west site sections to illustrate the journey through the landscape. 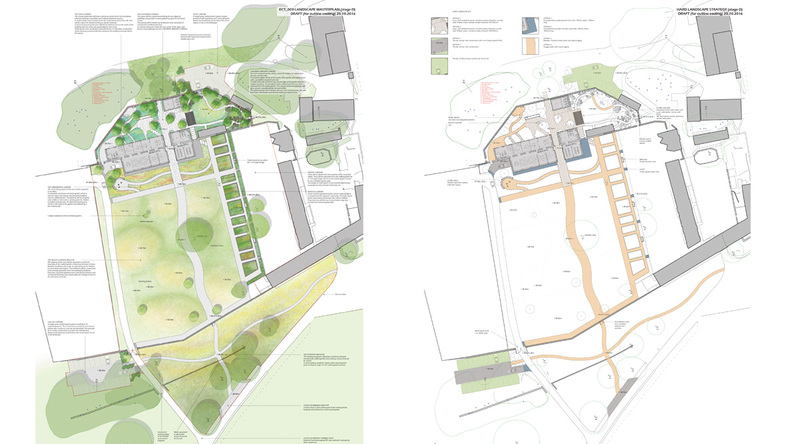 We produced a series of landscape layout drawings for outline costing. Before putting together the detailed drawings above, we presented various design options illustrated by quick hand sketches. 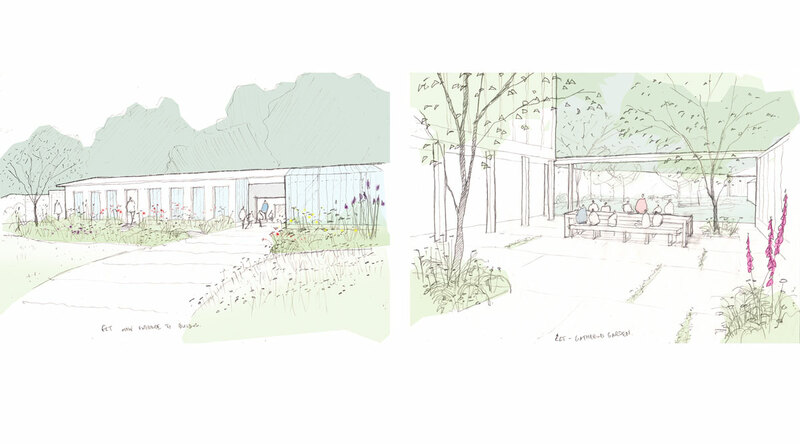 We find that sketches of aerial views make it easier to visualise the finished design than flat plans. We used sketched views to illustrate the various character areas. These views are based on a 3D computer model.